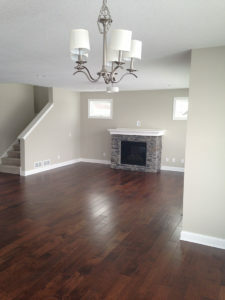 We specialize in wood flooring, and therefore, we deliver excellent service and expertise for this product. 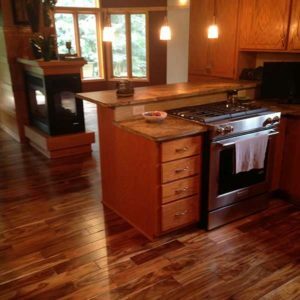 Hardwood flooring is the most sturdy, reliable, and long-lasting floor covering available. 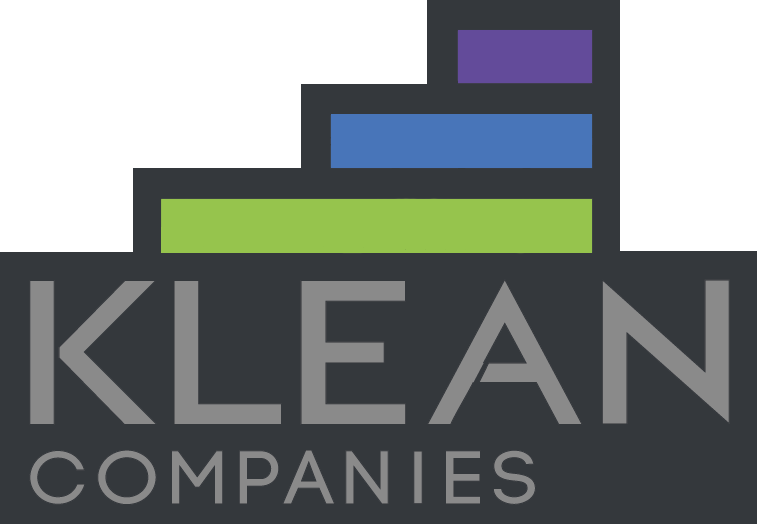 At KLEAN Flooring, we believe our business, products, and work should be the same. 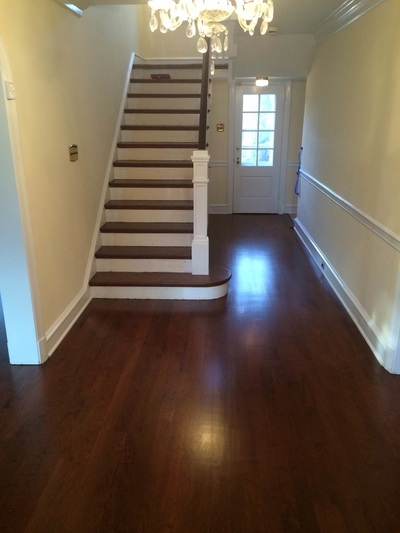 WHAT ARE THE DIFFERENCES BETWEEN SOLID HARDWOOD, ENGINEERED HARDWOOD, AND LAMINATE? 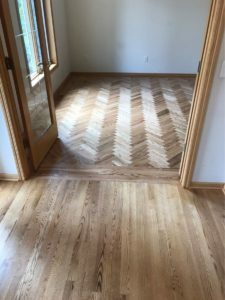 ASolid wood flooring is exactly that: flooring that is milled from raw lumber, solid through and through. 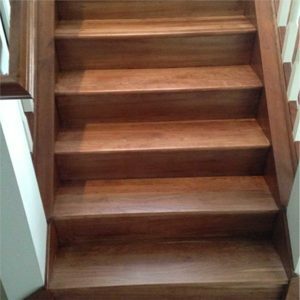 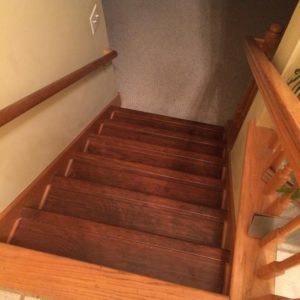 Engineered wood flooring has a top layer of real wood, but it is a veneer. 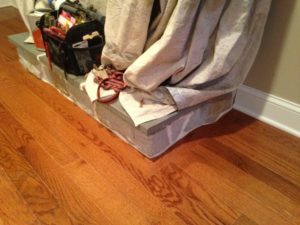 Under this veneer of real wood is a base that is similar to plywood. 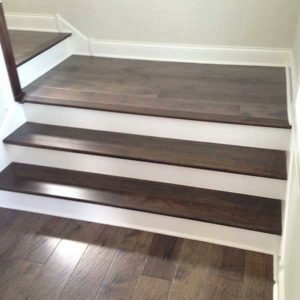 It is milled similar to solid wood flooring, but a cross-section reveals its construction more clearly. 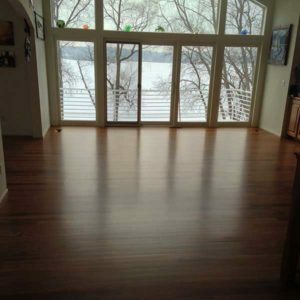 Laminate flooring is not real wood but rather a man-made product finished to give the appearance of a wood floor. 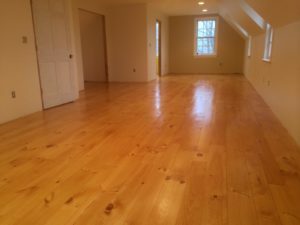 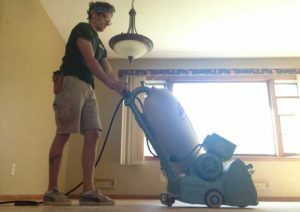 WHAT IS THE INSTALLATION PROCESS FOR HARDWOOD FLOORING? 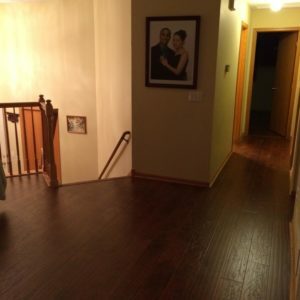 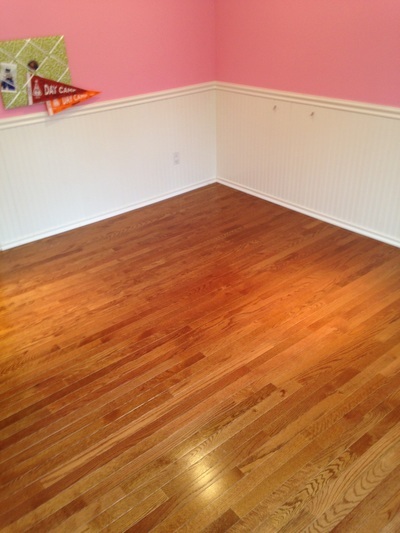 AMost solid, 3/4” thick hardwood floors are installed on top of your existing wood sub-floor. 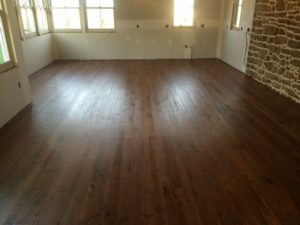 We attached the flooring with 2″ long, 16 gauge staples nailed on a 45 degree angle just above the “tongue.” Thinner, engineered hardwood is installed with a smaller staple using the same process. 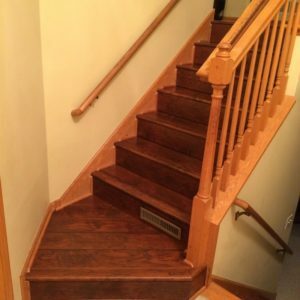 We incorporate the use of an underlay paper when applicable in nail-down installations. 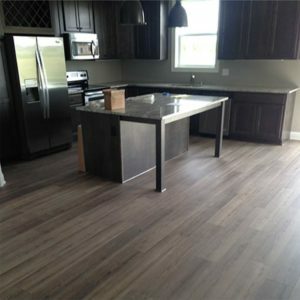 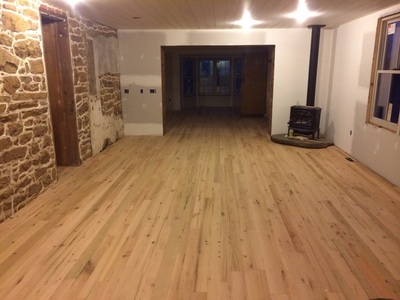 Manufacturer recommended adhesive is used to install hardwood over a concrete sub-floor or occasionally over a wood sub-floor (if adhesive is recommended for the installation of a specific hardwood).